Next up for a ramble it was a jaunt down the Bundang Line to the Seongnam Sports Complex for it’s first competitive match in almost 10yrs. It wasn’t the first time I’d been to the grand old home of Seongnam FC as it was most recently used for their Reserve League matches but this was the host’s first home match back in the K-League One and being against FC Seoul it was always going to be a huge one. And so armed with a newly purchased season ticket and a bottle of (두매산골 막걸리) I made my way down to Moran Station. The all important 2019 season ticket! When Seongnam finally climbed out of the K-League Two last season, belatedly due to the Asan Police situation, you would have found many a fan wetting their lips at the prospect of one or two of their old rivals coming back to town again, for me FC Seoul were definitely near the top of my list that’s for sure. Seoul had often been a thorn in the side of Seongnam with a certain Adriano seeming to enjoy scoring against The Magpies more than most. The talismanic Brazilian now with Jeonbuk will have to wait a few weeks to bag another against the boys in black but it was another old foe in the shape of Manager Choi Yong-soo who would once again lead his Seoul team to victory and in true Choi style too. Time for the kick-off at an almost full Seongnam Sports Complex! 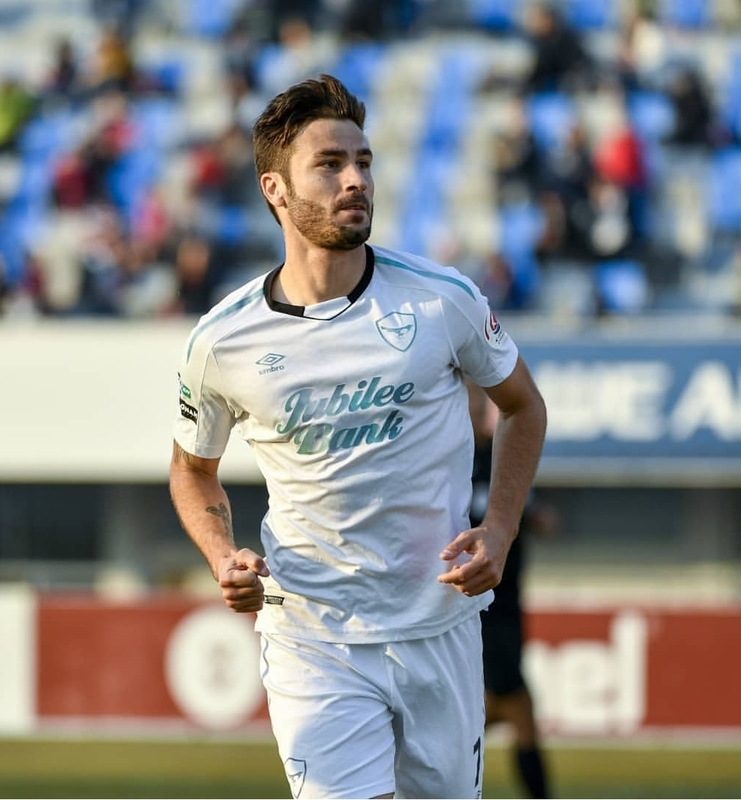 The first 20 minutes or so of the first half was a fairly even affair and the bumper crowd of 11,238 (paying) were treated to a reasonably attacking performance from the hosts as they sought to quickly consign that opening day defeat in Gyeongnam to memory. Park Chu-young picked up a yellow card within the first 10 minutes as Seoul harassed the Seongnam midfield every time they had the ball. 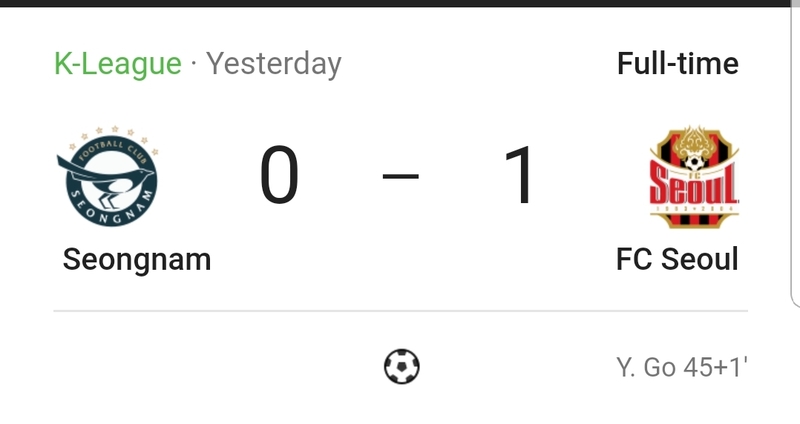 Chances were created by both teams with Gong Min-hyun having two opportunities to give the hosts the lead but, as was to prove throughout the game, he wasn’t up for the task at hand. As the half came to a close some ridiculous keystone cops defending by Seongnam gave Go Yo-han one of the easiest chances he’ll get all year to score and the Seoul captain is generally always capable of obliging. As he turned away in celebration with the ball resting in the back of the net an all too familiar feeling of deja-vu crept into the minds and hearts of the black-clad YF Ultras as once again a Choi-managed FC Seoul team had taken the lead against the run of play. The 2nd half would prove to be equally frustrating for the home support as a combination of powder-puff finishing and inspirational goal-keeping would keep the scoreline at 1-0 and hand Seongnam a second straight defeat in what is already looking like being a very long season indeed.As frustrating as the second half was for the home fans they were brought to their feet on several occasions by the guile and quick feet of Eder who was giving the Seoul backline a torrid time as he, time and time again, turned them inside out but was let down by a teammate not anticipating his final ball. Eder has started 2019 the way he did 2018 when he was arguably the most skillful player in the K-League Two, he did fade towards the second half of the season but there is no doubt that there is a genuine class player there that Nam Ki-il just needs to get the best from. With only a few minutes left on the clock Seongnam almost got the share of the points their 2nd half endeavor deserved as a cross from the right was headed back across the box to the top corner by Eder. As Seongnam players and fans alike got ready to salute their hero Yoo Sang-hoon’s left hand came out of nowhere and turned the ball past the post. It was an incredible save, and giving the fact he was going the other way to begin with was as physically impressive as it was heart-breaking. 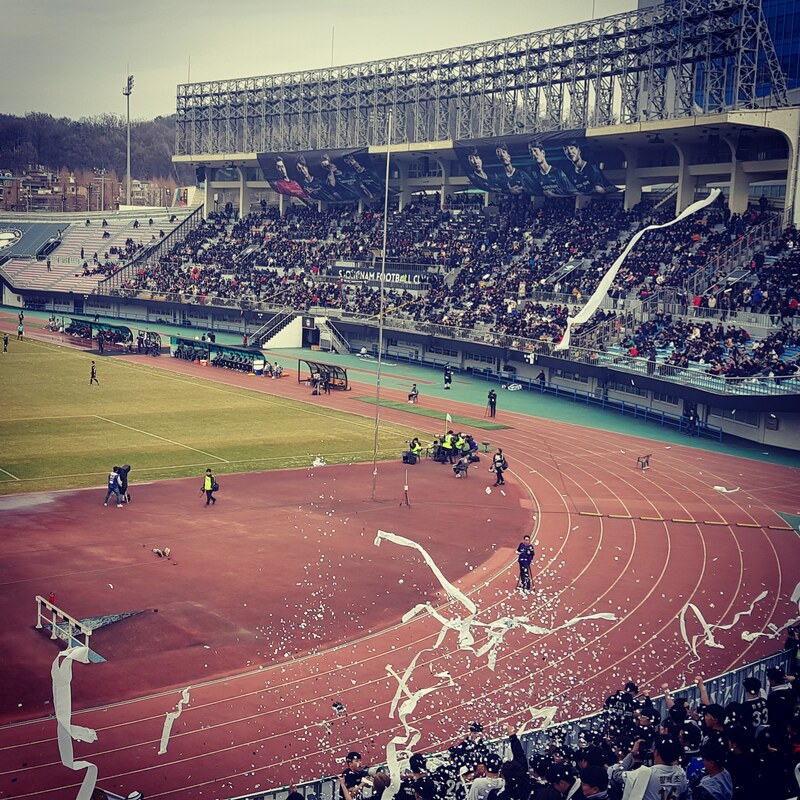 As the final whistle sounded the Seongnam players sank to the ground as the Seoul fans rose to celebrate their 2nd win in two games in 2019. All that was left for me to do was trudge to the exit to wait in the car park outside to have some pre-arranged post-match beers with some Seoul fans…….an arrangement I may not enter into again as long as Choi continues to man the Seoul dugout.